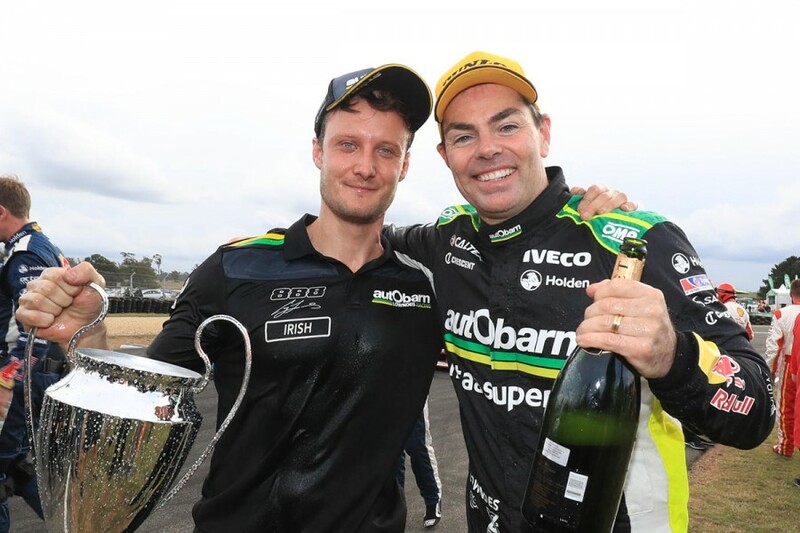 Craig Lowndes’ performance at Symmons Plains was a sign of a genuine step forward in the #888 garage, rather than a track-specific result, insists Triple Eight manager Mark Dutton. 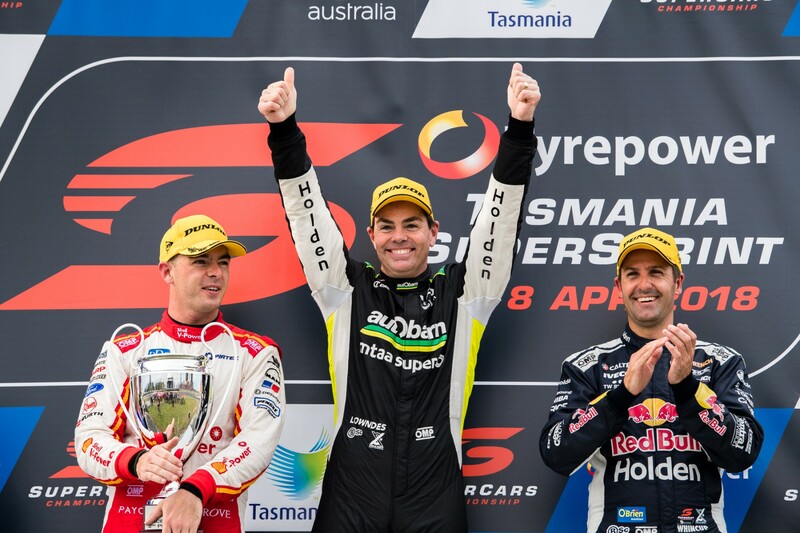 Lowndes turned back the clock with a stunning performance in Tasmania, where the 43-year-old was one of the quickest drivers across practice, ARMOR ALL Qualifying and the two races. Second on Saturday snapped a 12-month absence from the podium, before an ARMOR ALL Pole and race win on Sunday ended droughts of nearly three and two years respectively. Hailed by Lowndes as a “pressure relief” for the third Triple Eight garage, the results came on a circuit that has traditionally been one of the veteran’s strongest. Dutton, however, insists there was more to the performance than Lowndes’ affinity with the venue, crediting engineer John McGregor with playing a major role. 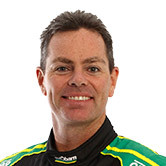 McGregor stepped up from data engineer to race engineer duties for Lowndes in November, 2016, following the sudden exit of Ludo Lacroix, and has remained on the car ever since. 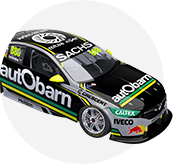 “Craig is always good [at Symmons Plains], but definitely they are moving forward,” Dutton told Supercars.com of Lowndes and McGregor. “John and him are just gelling more and more. I can see the way they’re working together. It wasn’t a flash in the pan. “It’s very competitive, so I can’t say he’s going to be winning from here on out, as much as I’d love that to happen. “But definitely this weekend I think they did a better job. Will that be enough at the next race meeting? I can’t say, but definitely it wasn’t just circuit specific. Asked what they had improved at Symmons Plains, nearing 18 months into their partnership, Dutton added: “It’s just everything. “In qualifying, he hasn’t been extracting the best out of the car for a little while now, whereas this weekend Johnny and him worked on strategies. “You keep going ‘how can we make this work? How can we get the best out of the car and the driver?' It’s a combination and one doesn’t work without the other. “I think the new qualifying format suited him, but they worked it well," he added. Lowndes, who said work on his braking technique contributed to his improved performance, now sits sixth in the standings after eight races, four places up on where he finished 2017.